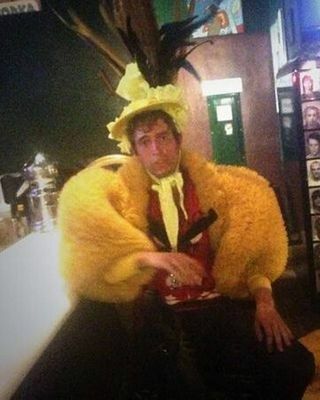 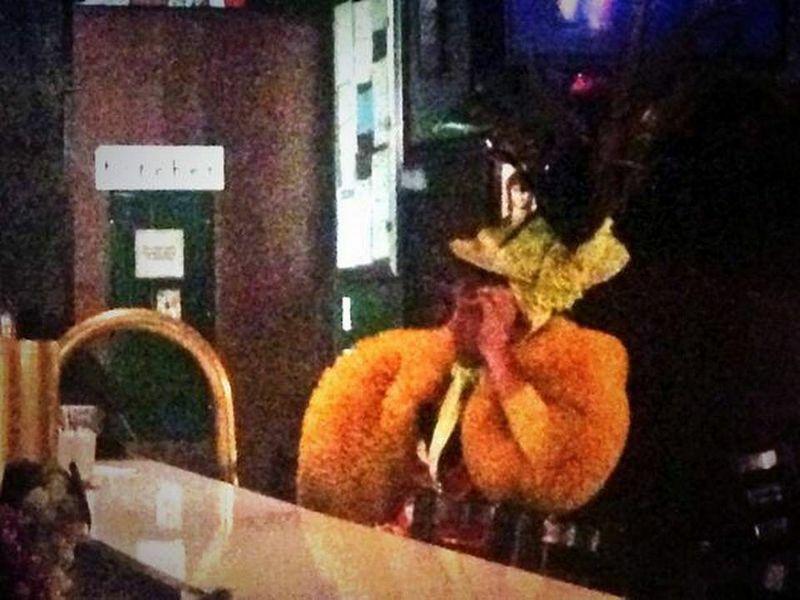 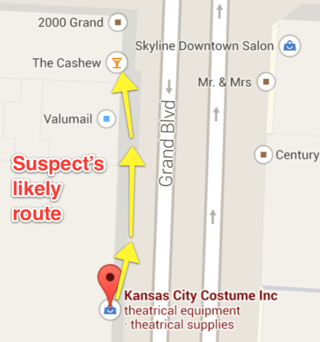 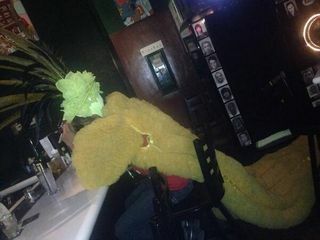 According to this report in the Kansas City Star (thanks, Steve), witnesses saw the man break into the Kansas City Costume Co. yesterday at about 8:45 p.m., remove the big yellow bird costume and then walk down the street to a nearby drinking establishment. 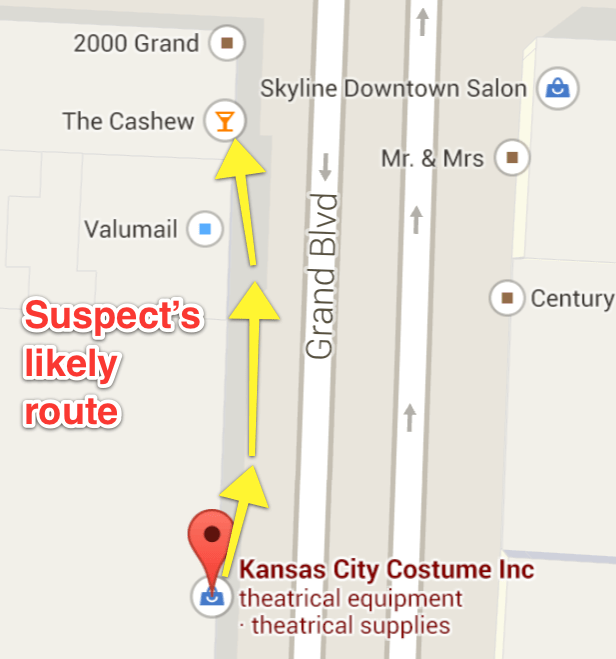 "Several witnesses saw this and called," said a KCPD police spokeswoman. 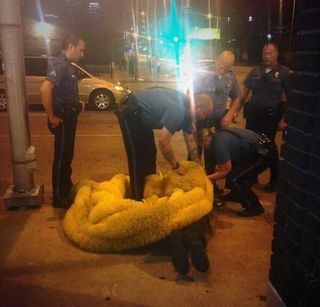 "We located him at the bar and arrested him."